BRYAN EATON/Staff photo. 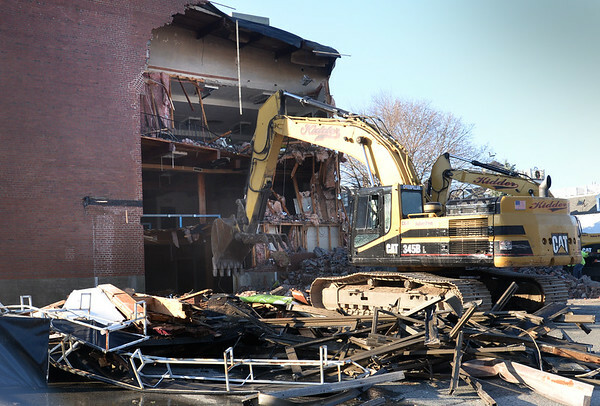 Two excavators were on site to demolish the old Port Theater, which had also been the Fitness Factory for many years on Merrimac Street at Titcomb Street in Newburyport. A parking garage will be built at the site which may take another day or two for the demolition to be complete.